Fashion Tip of the Week- How to properly tie a tie. Recently, I started writing for Karlene Lindsay Designs as their blogger. You can read my post by clicking here. It’s all about Prom season. I have been fortunate to work with this brand on several occasions. While you are there make to check beautiful custom designs like this one (image above). 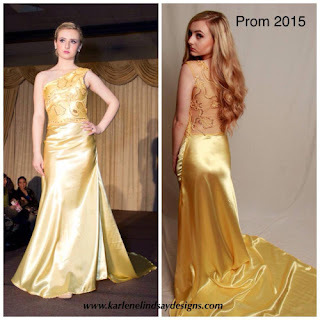 Whether you are searching for the perfect prom dress, bridal gown & etc. let Karlene Lindsay Designs help you out. You can find them at their website, Instagram,and Facebook.